The retina is a layer of light sensitive tissues that focus the image and process them to the brain. The Photosensitive cells called cones and rods help in the transform the light into signals that are carried to the brain by the optic nerves. Detached retina causes permanent impairment of the vision. 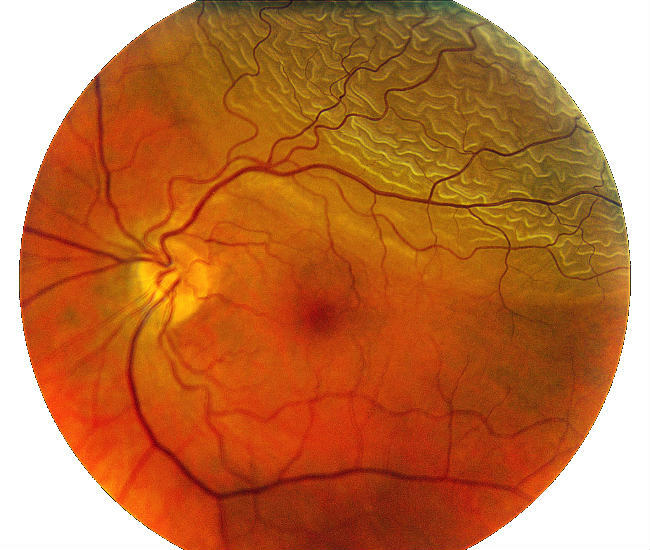 The retina is at the inside of the eyeball and works like a camera. It has billions of light sensitive cells that receive the image, develop them and transfer them to the brain. The brain then sends them to the eye and that is how we focus objects. If the retina is detached or moved from its original position, then it seriously affects the vision of the eye of the humans. The vision is blurred and can over the passage of time affect the eyes so that it becomes blind. This calls for the fast recovery or treatment that does not impair the vision of the eye. The Retinal detachment surgery has many risks also. So read the treatment procedures clearly before attending the retinal detachment treatment. The vitreous gel is the gel or liquid that fills the space between the retina and the lens. Due to advancement in age the liquid begins to shrink and causes the detachment of the retina from the tissues. Sometimes it is caused painlessly but not always. When there is no pain the people do not experience anything and lead a normal life. If it is associated with pain only then the people begin to see a doctor. Genetic and hereditary factors also enhance the possibility of being affected by retinal detachment. Any previous surgery to clear glaucoma and cataracts. Any cataract or glaucoma surgery previously done. Retinal detachment in the other eye. If a person experiences floaters, it is a sure sign that the retina has been detached. Floaters are ghost like images or small threads that a person can see in bright places. Gray patches that normally obstruct the vision of the eye. If a person experiences any of these symptoms, then he must immediately rush to the eye hospital for an eye check-up. The doctor will scrutinize the eyes for the possibilities of retinal detachment because early diagnosis can help to avoid complicated problems. The retinal tears are usually treated with this treatment. It enables to fix the retina back to its wall. The laser surgery is absolutely painless and causes no discomfort. It obstructs the further complications of the retinal detachment. Basically retinal tears are not treated often. The retinal detachments are usually treated by surgeries to fix them back to their wall. The decision can be taken by the doctor based on the condition of the retinal detachment and the personal conditions of the patient. This involves the passing of air bubbles inside the retina of the eye. The bubble pushes the retina back into its position against the wall. The tear is treated by cryopexy and the doctor advises the patient to maintain a certain head position until the air bubbles disappear overtime. The surgery is usually done in the office of the doctor. It is usually performed by placing a scleral buckle around the sclera of the eye to stop the further tearing of the retina. The band pushes the retina to its former position back against the wall. It is also called as the scleral buckle. Laser is then done to seal the tear of the retina. This involves the removal of the gel that holds the retina. The fluids of the body then replace it but the vitreous gel does not return back. Then any artificial gel or any air bubble is then placed inside the sclera. The bubble disappears gradually remaining the retina intact. The tears are then sealed using the lasers. After the surgery, certain medications will be prescribed by the doctor to the patient to ease the discomfort caused by the surgery; If the person has air bubble placed inside the eyes the doctors may advise the patients to maintain the position of the head in a certain position. They may also be restricted to refrain from driving or travelling in the air. The person should wear a patch to cover the operated eye till it becomes normal. As any other operation this surgery also has risks associated with it. The risks of the surgery include infections, cataracts, glaucoma and increase in the pressure in the eye. Most successful operations also need a second operation. The failure in reattaching the retina back to normal can result in perpetual blindness. The vision may take some time to come back to normal. The more serious the detachment the longer it takes to get back to normal. Some people with chronic retinal surgeries cannot get back their normal vision. The problem of retinal detachment can be eliminated in the first place by means of proper eye check-up. Early diagnosis can be made to help prevent many complications in the eye. We must check our eyes once a year. Diabetic patients and those with high blood pressure will be prone to many eye problems. So they must prevent the problems of retinal detachment. People with myopia are more prone to the problem of detachment of retina. Besides these we must wear sunglasses when we happen to out in the sun. We should wear some safety glasses when we play any outdoor games.